It is one of the most familiar photos of the 20th century: a haggard woman seated in front of a tent and surrounded by her small children looks off into the distance, seemingly pondering her circumstances. Dorothea Lange’s “Migrant Mother” is the iconic image of the Great Depression. We’ve all stared at it, almost willing it to come to life so we can see beyond the lens, talk to the mother, check on the children. Novelist Marisa Silver followed that impulse and has brought Lange’s photo to fictional life in MARY COIN. In her latest novel, the award-winning author of BABE IN PARADISE and THE GOD OF WAR answers the questions viewers of this photo have asked for the past 75 years: Who is this woman? How did she end up in a tent by the roadside? What is she thinking about? What will happen to her? Will her children be OK? MARY COIN features three protagonists: Mary Coin (the woman in the photo), Vera Dare (a fictionalized Lange), and Walker Dodge (“a present-day professor of cultural history” at a California university). Alternating their stories, Silver provides an explanation for how Lange and Coin came to meet that day in 1936, as Florence Owens Thompson sat by the road in Nipomo, California. Walker Dodge is our time machine back to the 1920s and 1930s. In the present, he is caught up in a common family situation, trying to maintain balance among his ex-wife, children, and work life. His father has recently passed away, forcing Dodge to return to his home in the San Joaquin Valley, California’s agricultural heartland, to attend to his father’s personal business. They were never close, and Dodge yearns to know more about his father’s childhood and the life of his grandfather before him. The family has always been tight-lipped about their history. In his scholarly capacity, Dodge studies photographs in an effort to explore the universal experience through particular lives. When he returns home and sorts through the mundane belongings of his father, he finds his way, ever so methodically, to Dare’s photo of Mary Coin. Rather than having Dodge tell us the story of Coin and Dare, however, Silver’s narrator fulfills that task, leaving Dodge to serve as a proxy of sorts for the reader, connecting the characters and their lives into a unifying whole. Just as Dodge’s work involves piecing together the zeitgeist of an era through the lives of ordinary people and the artifacts they left behind, the reader pieces together the lives of these three characters to create a satisfying and enlightening story. The quality of Silver’s writing was a revelation to me. Her prose is elegant and, at times, poetic. Readers will be hard-pressed to find a single clunky sentence in the entire book. While the pace of the narrative is measured, the sentences themselves are seamless and a pleasure to read. 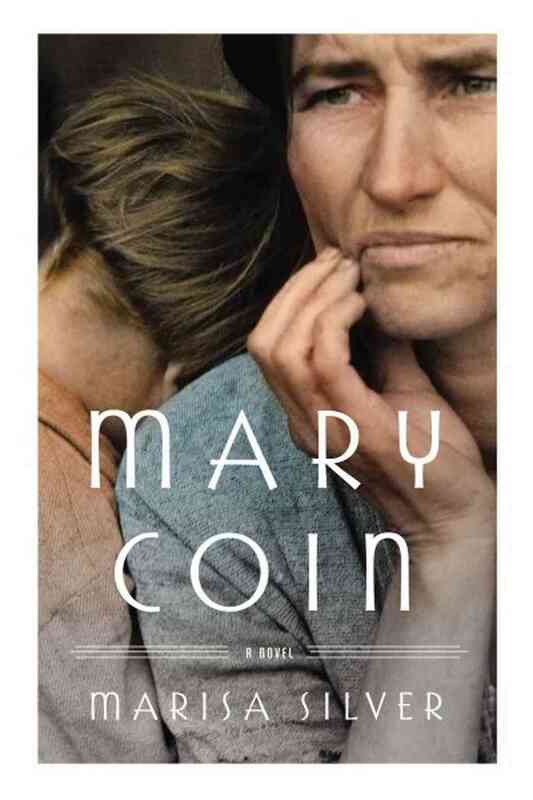 MARY COIN is not a fast read, but it is not intended to be. It is as intense and thoughtful as the expression on the face of the Migrant Mother in Dorothea Lange’s legendary photo. I was so impressed by MARY COIN that I have added Silver’s story collection, ALONE WITH YOU, to my summer reading list. After that, I plan to read BABE IN PARADISE and THE GOD OF WAR. Marisa Silver is an insightful student of human nature and an impressive prose stylist who knows how to tell a compelling story that resonates far beyond the lives of the characters. I thought this would be a great book to add to curriculum after reading it, too. Even if students don’t read the whole novel, I think there is quite a bit they can gain from seeing a piece of fiction based on a primary source.